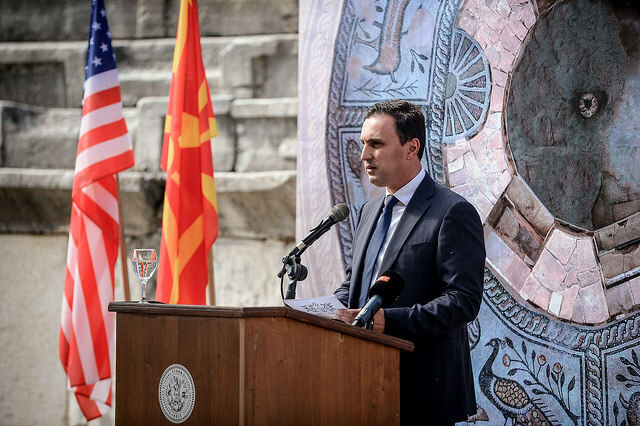 Along with the scandalous move to slash funding of Macedonian cultural events but boost it for Albanian events, the Culture Ministry plans to spend 6.5 million denars on a nationalist pet project by Minister Asaf Ademi. The Skenderbeg play opera will celebrate Albanian national hero Georg Kastrioti Skendebeg, and Ademi, who comes from the nationalist BESA party, called it a major win. We will celebrate Albanian artistic and cultural values. On the 550th anniversary of Skenderbeg’s death, I have signed off that the Skenderbeg opera is performed in the grand opera and ballet hall. Congratulations!, Ademi announced. Meanwhile, some of the internationally best known cultural events in Macedonia, like the Skopje Jazz Festival and the Off Fest festival are being cut from the program of events which will receive support from the Culture Ministry. The Ministry program caused dismay and condemnation even among supporters of this Government, such as Zoja Buzalkovska who resigned as culture adviser. Albanians celebrate Skenderbeg, who fought against the Ottomans and defended Christianity in the Balkans, as their national hero. Ademi announced that the “glorious November”, when Albanians celebrate Skenderbeg’s defense of the Kruje castle and the Albanian independence day, will be honored with the opera paid for by all Macedonian citizens.